So here I am outside Marylebone train station waiting for Dan Pink’s Google Hangout. If I told you that last year you’d say “What?” But it is a sign of the progressive thinking behind our world and our HR profession now that I am able to say that. For those of you who don’t know, Dan Pink is one of those authors/speakers/commentators who has captured a lot of imagination with his take on the brain, his thoughts on selling but mostly his thoughts on human motivation. His Drive book and TED talk together with his RSA Animate clip are now icons in the modern world of work and disruptive thinking. Anyway this is not a blog about Dan or his thinking per se. It is about an unrest and a positive inclination to change the world of work and the HR profession. An HR profession that should be the guardian, the champion and the challenger of all things people and progressive thinking. But it’s not quite there yet. No it’s got some bureaucratic, policy churning machinery to grapple with of the “you can’t do that here” sort. That was then, this is now. Or rather that is now, and this is what’s to come. But this is equally not a whingefest on HR. I don’t do whingefests. For we are hacking. Right now we are cutting into the very practices that have made that bureaucracy the dysfunctional dystopia we find ourselves in. Hacking the way we think, act and deliver. Changing the thing many of us have studied, practiced and conducted ourselves. And about time too. The connection with the CIPD Centres Conference is a deliberate one. I have spoken at the past 2 and this year I am watching from a distance. Happy to do that though as there are rumblings of change in the Centres world too. Those people who are included in the Centres fold (!) are those people who educate, illuminate and guide our newest entrants to the profession (or those wishing to up their levels) to a qualification in the HR practice field. In amongst those ranks of people who have “ticketed” authority are people who care deeply about people’s careers and the impact work has on their lives and who deliver learning for them to be better practitioners. I begin from a point of respect for those who know the curriculum, the detail and the models SO well they pass it all onto others with the intent to help them do great things. People who will end up “doing” reward, recruitment and development for people at work. But we all know, it’s no longer enough. It’s not longer right. It’s no longer about what the textbooks say. It’s about moving away from the hegemony that is the old guard of HR practice. Hegemony is an indirect form of government, and of imperial dominance in which the hegemon (leader state) rules geopolitically subordinate states by the implied means of power, the threat of force, rather than by direct military force. Imperial dominance. Maybe that was once what the CIPD was. Now, I am – and always have been – a fan of what I think the CIPD was all about. It wasn’t always what it actually was, but I believed in the thing that it should be and I attached myself to it to help turn it into something that it could be. I no longer believe the CIPD is an imperial dominance. 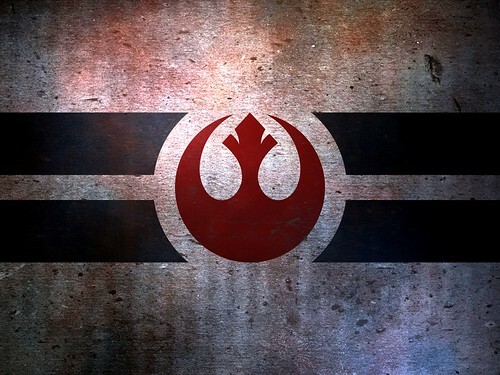 I see it more as a wannabe Rebel Alliance. I say wannabe as it still has work to do but I feel it is it rapidly gaining pace towards it. The Imperial Dominance was part of the Centres’ remit – to educate and some might say indoctrinate – people into the profession. There are though, people who whilst conforming within that mechanic are desperate to set free the very potential they see before them. And I hope that the current disruptive state of play happening over at the CIPD’s collaboration with the Management Innovation Exchange (MiX) is something that will change that which people are taught. Give the Centres some new, largely unproven, but invigorating ways to educate those wishing to learn about HR. Let’s not teach them “that” HR and think more about “THIS” HR. This new breed; this quiet storm; this regenerated HR. New ways for recruitment; reward; development; appraisal; exit; reporting; delivering will have to be woven into that very same hegemonic curriculum and therein lies my concern. Are we rebellious enough to instantly start using hacks in teaching or will we wait and “see what happens”? My hope is that we start with “here’s the traditional musical score structure, now here’s the 3 chords version”. Like a Punk school of Rock. Hell, if Colleges can have DJ mixing as part of their taught curriculum and acknowledge some graffiti styles as an artform there is hope for the Centres folks desperate to Punk up their teaching surely? Break the hegemony; bust the mythology and build creativity in our HR professionals please! Heuristic refers to experience-based techniques for problem solving, learning, and discovery that give a solution which is not guaranteed to be optimal. Where the exhaustive search is impractical, heuristic methods are used to speed up the process of finding a satisfactory solution via mental shortcuts to ease the cognitive load of making a decision. One of the most important things that HR people can learn is the art of learning for their future in the world of work and the need to be on the money with their decisions. The decisions all HR people take that define their worth to their organisation or their enterprise. So maybe that’s more relevant to our new guard than the dynamics of forced (bloody) distribution. Problems are everywhere. In work and in the world; and despite our sophistications in understanding neurology and our behaviours, the decisions get ever more critical with pace, complexity of the world etc. Yet we tend to treat problems like a nuisance, an obstruction to normal processes and practices and not for the splendour of uniqueness of perspective, the intricacies of newly derived solutions and the joy of breaking through and making things so much better than before. We frown at problems instead of swarming around them for the joy that comes from resolution and newness. We think that by doing an MOT of a staff survey once a year, all we are doing is reassuring ourselves and bracing ourselves for the unknown problems it surfaces and then do little or nothing about them. Then we are worse. Experiences are our lifeblood. They shape our thinking and behaviour much more than purely academic lecturing can ever bring us. That is why things like flipped classrooms are taking a hold. They make sense of problems and bring them to the centre of education. They provide experiences that help us understand and grow. Not just reams of syntax to store just in case. Heuristics are – I hope – at the heart of those rebels in the Centres camp’s hearts. They long to enable learning through experience and acquired wisdom rather than espouse a model and a theory that MIGHT work for most. Hacking – again what does Wikipedia say? Ah who cares. You can look it up. Hacking in an HR sense means we – the people – take control from they – the great whoever. We have broken a hegemony, been brave enough to challenge convention and have hacked our own thoughts. Hacking to create new lines of code to splice into the programme of work. For when we hack it is because something has stirred within us that says “this needs a fix”. We are wired to fix. We are wired to learn. We are wired to adapt. So when we are faced with the chance, we revel in creative thinking that comes from experience, inspiration and belief. But it’s like turning a tanker isn’t it? We are trying to unpick years of taught practice and research. Kind of. But research that is no longer hot, topical or relevant. Teaching that no longer leads the way but creates a back story with little or no forward momentum. Teaching that is sheet music for a Punk generation who want to play by ear, have fun and create vibrancy in things that move people to create brilliance. Does ALL work need to be a classical score? Not all of it. A lot can be Punked up energetic flashes of creativity and productivity. Now getting serious for a minute, work is serious. But who said professionalism has to be bland, tight and stuffy? Fun at work can still be focused, and have some structure but an awful lot more energy and bounce. Heart surgery or drilling for oil is probably a classical piece; but working in a retail, charitable, insurance, service or design environment can be huge fun. We’re kidding ourselves that we can’t create a buzz when and where it’s right to do so. Work doesn’t START from being beige; it becomes beige. Start with colourful fun and get serious and monochrome when we need to – not the other way around. We laugh, smile and sing for a reason – we love it. We frown, think and solidify because that’s what’s needed at that time. There is no default position to be serious – yet the default hegemonic culture is that it’s all deathly serious and there’s something wrong with being different and colourful. Hacking is different. Hacking is saying enough is enough and hacking is doing it your way because you’re an intelligent professional person with a heart and a soul and head engaged in doing things right with a focus on outcomes that just happens to differ from a text book. Hacking is Punk. Anti-Hegemony and in line with heuristics. I’m playing my 3 chords by ear and having a ball doing so. I hope those of you passionate and driven enough at Centres13 think about your hacks; your anti-hegemony stance and be the heuristic leaders I believe you can be. Enjoy your conference. A guest blog from Damiana Casile (@Damiana_HR). As some of you might know, this is my first blog post and while I had started writing about something completely different, I found myself on a couple of planes en route to hometown Milan and I changed my mind. A strange comparison came to mind and while on that flight I entertained the idea and started writing. I thought about when I was a student in Italy and how different the job market was. I feel that right now it is evolving, growing and transforming the individual to an insignificant puppet. Because of this, as a paradox, I’ve realised how important the centrality of the human being has become. Being Italian and passionate about history and history of art, I’ll attempt a parallelism that I’m sure has been attempted before. The spell we are going through resembles the origins of one of the most prosperous and thriving historical periods of all time: the Renaissance. The Renaissance marks the beginning of modern society and during that period the idea of the man moulding his own destiny “homo faber ipsius fortunae” (the man is the blacksmith of his fate) was a central one and one that I personally really like. 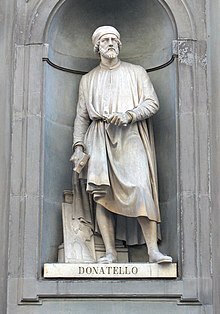 The renaissance was also a time for great inventions like the movable type printing that greatly increased the quantity of books, helped eliminate transcript mistakes and transformed mental effort in a shared activity that led to debate instead of solitary learning. During the Renaissance new lands were discovered and products, customs and knowledge brought to the western world. In this age of constant and total change some fundamental principles are going topsy turvy. I remember ten years ago, when I was still in Italy and surrounded by a family of entrepreneur, the only investments that were ever considered were in machineries, manufacturing plants, capitalisation. This was what determined the growth and success in the job market. Now I feel that this has radically changed. The lever of efficiency, change and company growth is more and more in the hands of the employees. A company will be led to success by its human resources in the sense of technical competencies, initiative and creation of solid relationships with clients and suppliers. So the modern entrepreneurs need to realise that the game is being played on an unusual and completely new pitch; a pitch where they will have to tackle new values and theories. The challenges that many are facing include embracing change and developing a new way of managing people. This is not an option anymore, it’s an obligatory passage. Now more than ever all companies can and should be transforming people’s passion and their emotional intelligence into an opportunity to reinvent themselves. This can happen only if all attention is directed to the employees by spending time on their development, drive and by sharing goals, ideas and achievements with them. When a business decides to direct the attention to factors that value their human resources it will soon realise that this will create the chance of having employees loyal to the company and to its mission. Obviously we cannot expect that every single employee will become a central figure or one of extraordinary importance. As the Renaissance teaches us, only a few became artists and men of science and culture of global significance. To be fair, during the Renaissance many became good, if not excellent artists despite remaining in the shadows. Yet, they too have left an indelible trace of their passage: a great contribution to cultural transformation. They deserve praise for having created something unique and extraordinary. The Renaissance forged real talent because it used an improvement and growth system where people could learn, develop and access the knowledge that was gained through apprenticeships. They would learn from someone better and more experienced. That person would identify the qualities of the promising youngster and make them emerge. Some of you might say that it takes a great deal of optimism to affirm that there is some sort of resemblance between now and the Renaissance period. Possibly a bit of madness too! However I am convinced that we find ourselves in a time when only businesses that are forward thinking will find themselves in a position of great advantage. Personally, I’d like to think that HR professionals are farsighted, I most certainly am. Do I work for a farsighted company? Not quite and that’s a whole different story… Will they start investing in people? Hopefully. Am I seeing improvements? Yes, everyday. Am I making the difference? Yes! One small brushstroke at a time makes a masterpiece…are you ready to take up the challenge and become a new renaissance professional?